YOU KNOW THE OMINOUS FEELING that comes with wayward glances at a calendar any time after January 1st—it starts as an inkling, and then, grows into something darker by the week, the closer you get to April 15th. And now, Tax Day, as ever, looms large. But this year, perhaps, is a bit different from the last few—you’ve got a bit of money invested in cryptocurrency. And though currencies like Bitcoin, Ethereum, and Ripple are poised to transform the financial system (not to mention your bank account), where it concerns your taxes, regulations concerning crypto aren’t quite “there” yet. One of the most appealing aspects of cryptocurrency, you may be thinking, is its anonymity. Doesn’t that mean the government can’t find my money? you might think. And, well, not exactly. For one, Bitcoin isn’t all that anonymous. The parties on either end of a transaction are marked with pseudonyms. And it’s not that hard to link your pseudonym to your actual identity. 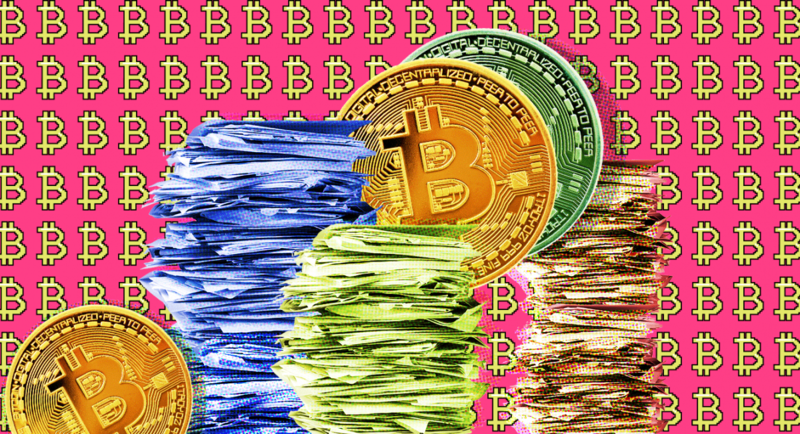 Online vigilantes have unmasked extremist groups receiving donations via crypto; organizations such as Chainalysis, recently featured on an episode of the internet-focused podcast Reply All, specialize in making these connections, identifying crypto traders in a matter of minutes. The government has, as you may expect, caught onto this. The Internal Revenue Service (IRS) has employed the services of some companies (including Chainalysis) to hunt down tax-dodgers, according to the Daily Beast. So, chances are that you shouldn’t take your chances with paying taxes on your crypto. Try to dodge, and chances are the government will find you. But what this all means for you also depends on how the government considers cryptocurrency. The IRS, in its infinite wisdom, actually provides some (limited) guidance on the issue. 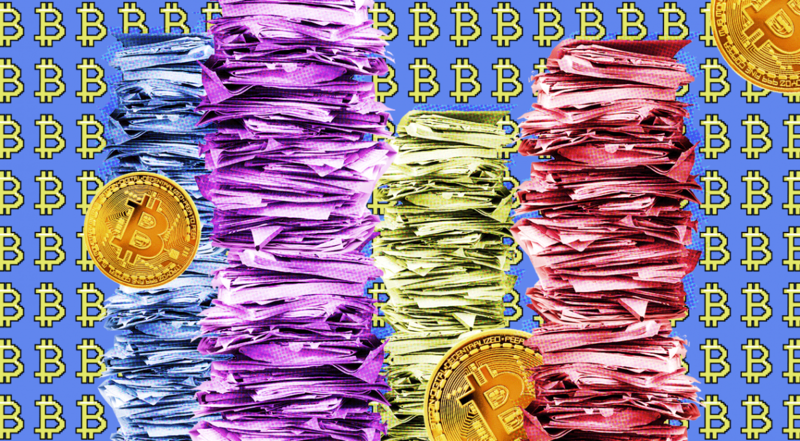 In April 2014, the IRS released the only official rules on what it calls “virtual currencies” — tax lingo for crypto. 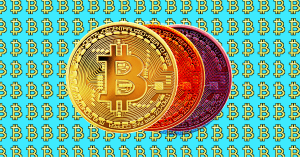 “For federal tax purposes, virtual currency is treated as property,” the document reads. To the government, crypto exists somewhere between currency and investment. To rectify this difference, the IRS calls them “property” which, unlike investments, can be both held for profit and exchanged (at least, that’s the case before FY2018—the new tax law specifically excluding cryptocurrency from exchanged commodities). Since Bitcoin and other virtual currencies are considered property, that means you pay capital gains taxes on any income you made from them. There are two types of capital gains that determine the rate you’ll be taxed at: short-term capital gains are for property that has been held for less than one year, while long-term capital gains covers anything held over a year. Short-term rates are usually taxed at the same rate as your income, while the rates on long-term holdings vary between zero and 20 percent, depending on your tax bracket. If you mined your crypto, get paid for your work in it, or run a company with a product purchased via cryptocurrency, then you’ll probably be treating these gains as ordinary income. If, like many people new to crypto, you bought your coins for investment purposes, then things get a little more complicated. Bought bitcoin and have not exchanged it for any other goods, services or coins? Good news! You don’t owe taxes on your holdings. If you’ve exchanged your coins for an equal value of another coin, you’re still in the clear, at least for the 2017 tax season. This is called a like-kind exchange and until the new tax law takes effect next year, these are not taxed, either. If, however, you sold your holdings for cold, hard cash, or used it to purchase anything other than another crypto, you need to report that income. A little sampler math: Let’s say you purchased 1.0 BTC on July 1, 2017 you probably paid around $2,496. If you sold that coin on December 16, 2017, at the peak of bitcoin-mania, you probably received around $19,202. Plugging those numbers into the formula tells us that your income from that bitcoin sale is $16,706. That is your capital gains — the income you pay taxes on — for that coin. The equation becomes murkier if your transactions aren’t so one-for-one. Say you’d been slowly buying up bitcoin throughout most of 2017, and sold only half of your stake in December. How do you determine your basis in that case? Which coin did you sell, exactly? Can you say you only sold your most valuable coins and therefore have a lower income? The short answer is that you or your tax professional usually makes that calculation via a method called “first in first out,” or FIFO. When you sell your coins, you assume you are selling your first, or oldest, coins when calculating the basis. You can also use LIFO, or “last in first out,” but you have to stick with whatever method you choose, year after year. The IRS expects you to apply these rules in a reasonable and consistent manner. Your individual circumstances determine which method makes the most sense for you. Since this can have lasting effects on your finances, it’s probably a good thing to decide with input from your tax professional. Finally, there’s the question of what to do with those additional coins you gained if you’d held a currency during a hard fork, like when Bitcoin bifurcated into bitcoin and bitcoin gold. A cryptocurrency experiences a “fork” when there is a significant change to the protocol of the underlying ledger. Bitcoin gold came to be, for example, because its administrators introduced a new algorithm that altered how the currency can be mined. This was a “hard fork” — the split leaves the original ledger intact and creates a new, separate ledger using the new protocols (a soft fork is different because, though the split initially creates two ledgers, the two re-unify as a single ledger and currency). If you had some of that original currency before a hard fork, then congrats! You also own the same number of coins in the new currency. That’s essentially free money — and another complicated situation for our intrepid tax professionals. While the IRS has not made an official statement on the matter, Coggins says it’s probably safe to treat these new coins as dividends — profits received by stockholders — that are taxed as normal income. For instance, if you own a traditional stock you may receive dividends as a sort of reward from the company for your investment. The rules differ, but generally stockholders receive dividends as a portion of the company’s profits, paid each quarter, proportional to the number of stocks they own. “I own [stock in] Starbucks, and every quarter they send to me 85 cents or something because it’s a dividend,” Coggins said. While dissimilar in many ways, she says, dividends and hard forks both create a sort of free money dished out to investors. That is enough evidence in her mind to treat them the same when it comes to your taxes. Yes, all of these “if, then” statements can make paying taxes on your cryptocurrency seem complicated, even more complicated than simply preparing your taxes in general. If you are feeling overwhelmed or confused, just be cool. Just pay your taxes. Honestly and on time. That usually keeps them away.